In cooperation with the IFLA News Media Section, and in conjunction with the 2015 IFLA International News Media Conference, the Center for Research Libraries will convene representatives of national and academic libraries, commercial producers and aggregators of news content, and cultural and funding organizations to assess the state of international newspaper digitization and preservation, and to better align future library and commercial efforts, investment and funding in these areas. The world’s print newspapers constitute an incomparable and irreplaceable source of critical historical and cultural evidence. In recent years libraries, funding agencies, and publishers like ProQuest, Gale and Readex, have invested substantial sums in preserving and digitizing those materials for access. 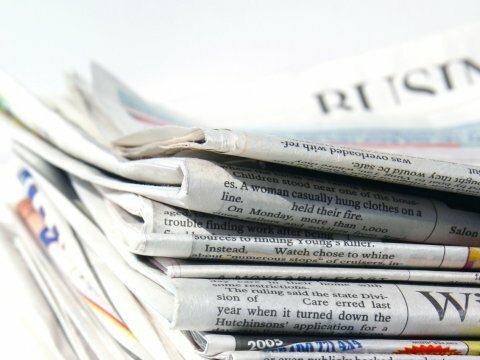 This meeting will bring together representatives of those organizations to consider the current state of newspaper digitization and evaluate major accomplishments to date, such as the National Digital Newspaper Program, Europeana Newspapers, and CRL's World Newspaper Archive, based on data collected by CRL. Attendees will attempt to find consensus on priorities for future digitization, and agreement on the sharing of resources, holdings and metadata necessary to make future efforts sustainable and transparent. A proposed accreditation scheme for assessing the sustainability and integrity of content in digital historic newspaper repositories. A commitment by participants to contribute and maintain issue-level metadata on available digitized newspapers, and other protocols for information sharing about digitization projects. Location: business office of the National Library of Sweden (Kungliga biblioteket), located at Karlavägen 100. The first session will focus on the comparative analysis of the major digitization efforts to date, based on surveys of programs and comprehensive data from the ICON database. Funding models: An evaluation of the effectiveness and productivity of the various models used to fund digitization, including national funding (NEH and JISC), international funding (Europeana), and commercial partnerships (British Library/brightsolid, CRL/Readex, and Reveal Digital). Bernard Reilly, CRL, will outline the strategic implications of the findings for the comprehensive preservation of world newspapers, with reference to national and international library digitization activities to date, the status of electronic deposit and digitization in the commercial publishing sector. Representatives of major national and academic libraries will be asked discuss their own impressions of the CRL findings and explore how their programs might proceed in the light of the new data. Representatives of national libraries will be encouraged to propose possibilities for international cooperation. Representatives of commercial providers will be asked discuss their respective newspaper digitization efforts and priorities. Discussants will be encouraged to propose broad terms and principles for viable cooperation and a strategic “division of labor” between libraries and commercial publishers, in the further mass digitization of world newspapers. Attendees will attempt to formulate the outlines and principles of a sustainable and mutually advantageous “division of labor” or alignment between the national libraries, publishers, consortia and other major research libraries on the further digitization of international newspapers, based on the discussions presented by the library and publisher representatives. Afternoon Session: Measuring the Effectiveness and Value of Digitization Programs and Repositories. Over lunch and into the afternoon, CRL will introduce its proposed metrics for measuring the effectiveness and value of digitization programs and repositories. CRL has devised a preliminary set of metrics for assessing the commercial and library-sector models of digitized newspaper repositories. The metrics apply to evaluating the suitability of a given repository to the task of ensuring the long term accessibility and integrity of content. The criteria are based on Trustworthy Repository Audit and Certification (TRAC) metrics and the new standard ISO 16363. Attendees will critique the preliminary metrics in terms of how sound a basis they provide libraries for assessing the likely integrity and persistence of a given digital newspaper repository over time. The metrics will also be evaluated for their usefulness in helping libraries determine the level of risk associated with investing in a particular database or digitization program. CRL and attendees will discuss the findings of the day and formulate group recommendations on a broad common agenda for information sharing and digitization. That agenda will also form the basis for CRL priorities for the its own further development and digitization of newspaper collections.